Class, today's topic is: The world is divided into two kinds of people: those who wear neckties and those who comment on those who wear neckties. Discuss. Pursuing the vita scholastica these years toiling in classrooms to persuade students to do the assignments, placating the lords of research grants, and dealing with that alien species which edits academic journals, I wear a necktie to the office most days. Well every weekday and some weekend days at the office, too. I have heard each of these comments and variants of them many, many times. They come from green lecturers new to the job and wizened professors. 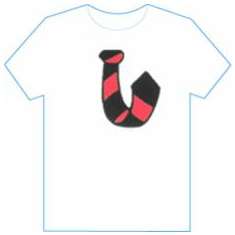 Having worked in Europe, North America, Asia, and Australasia, I can safely say I have heard these cries of "Freedom from the tyranny of the necktie" around the world. So forget about those lame-brained cultural explanations. Yes, I know some schoolboys wear a uniform with a tie, and leaving that behind may be liberating for a time, but surely it would be a case of arrested development to dress for a lifetime in reaction to a school uniform. Hmmm. -Why do you have a tie on? -Going to see...the bank [doctor, lawyer, parole board]? As my attire is noted and explanations for this academically aberrant behavior are gratuitously offered, I stand quietly allowing these wits their fun. I expect other more barbed comments have also been made out of my hearing. No doubt these unheard comments were just as witty as those quoted above. Then there are the silent looks and double-takes all very clearly shows of surprise, disdain, or disapproval. None of these individuals ever felt the need to comment, notice, or explain my tie at a funeral or a wedding, and on occasions I have seen them in ties, at dinners with donors and research council officers. I conclude they know of ties. But to these scholars it is an arcane object to be used only on ceremonial occasions, like the regalia we wear at graduations. To get on the right wavelength think Masonic ritual. I hasten to add that I have never ever suggested that anyone else dress as I do. A word of sartorial imperialism has never passed my lips. No, rather it is the proudly tieless who are the imperialists. They just have to comment on my attire. 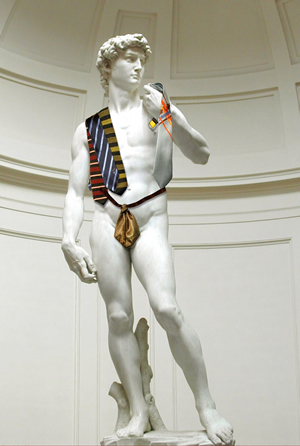 There are many reasons to wear a necktie. Here are some of them. - It's business and I am on duty, meaning at times I have to be nice to idiots, including those who make fatuous comments about neckties. 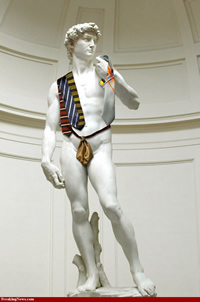 - The colour and style of the necktie expresses my creative inner self. - They are souvenirs from trips. - They are gifts from an adoring public (see, I do have an imagination). - I know how to tie it, and in several ways, and just to prove it, now and again it is a bow-tie! 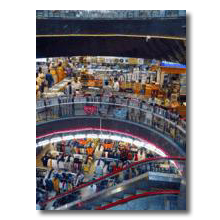 Shopping for the souvenir necktie while travelling has taken me to such exotic places as the Mustafa Centre in Singapore, that most un-Singaporean of places. The pictures do not do it justice. It is...hard to describe. Those are all good reasons, but there is still more. I did not take up the vita scholastic to avoid wearing a necktie, yet on occasion those who proclaim loudly an aversion to the necktie seem to imply that they came to scholarship for that reason. Think about that for a while. Is the goal of wearing a tee-shirt for forty years enough motivation to get through a PhD (that is the hardest thing I ever did) and face the ever increasing list of demands on professors with ever decreasing supplies to meet them? But I never see tee-shirts at promotion interviews. It is comforting to know that hypocrisy is on tap in the academy. But to return to earth, for generations of working-men the ambition for their male children was to work in a shirt and tie. That meant headwork not back work. That meant secure work. Heads generally last longer than backs and are less likely to be injured on the job, apart from football and hockey players. Those academicians for whom a tee-shirt represents freedom, these people were already free, at least free from the prospect of a life of manual labor with its attendant insecurities, last hired, on the job injuries, first fired, no health insurance, and little or no job security or mobility, be it occupational, geographic, or social. Like most of those who are free, they do not even know they are free, so free are they. That is how freedom works. The free never notice their own freedom. For those who must know, I practice the schoolboy Windsor and Half-Windsor knots, although there are other approaches. 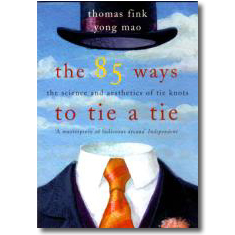 Two Cambridge University physicists, Thomas Fink and Yong Mao, propose knot theory in The 85 Ways to Tie a Tie. It is an amusing book and it can take hours following their directions to end with the same result as a Windsor knot. Recommended to those with so much time that they record their every inanity on Facebook. Maybe it needs to be said: my beef is not with those who wear tee-shirts, it is with those who decry the tie around my neck. For those who mind their own business I extend a like indifference. It is the inveterate commenters with whom I hereby take issue, especially the many recidivists among them. 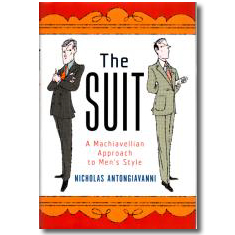 I close by recommending further reading, as scholars must, Nicholas Antongiavanni, The Suit: A Machiavellian approach to men's style. Everything there is to know about a suit and accessories, including neckties, to go with it written with aplomb and zip. Although, I hasten to add it has little to do with Niccoló Machiavelli whose only comment on his clothing came in an often-quoted letter to Francesco Vettori when Machiavelli wrote of changing from the work-a-day clothes he wore on the family farm in the Tuscan hills into a clean gown with a long red scarf. It appears in one of the most widely reproduced pictures allegedly of Machiavelli. I say "allegedly" because the picture was labeled 'Machiavelli' only in the Nineteenth Century. Lord Macaulay had rehabilitated Machiavelli in an essay that caused later English tourists in Italy to create a demand for Machiavelliana. Florentines were quick to supply the demand with whatever was at hand (Ridolfi 1963). The red scarf, the lucco, meant Florentine citizenship (Clough 1983), and perhaps wearing it, or implicitly claiming to wear it, in exile was Machiavelli's declaration that he remained a Florentine come what may. For me the necktie is rather more prosaic statement that it is work again today. Georg Hegel was right, there is synthesis in the human condition! Michael Jackson is a professor emeritus of political theory at the University of Sydney (Australia) where over the years he has served as an associate dean in the business school, director of the University Institute for Teaching and Learning, and Head of the Department of Government and International Relations. Whew! He also plied his wares at Utah State University, Korea University, and Laurentian University over the years. He wears neckties to classes, committee meetings, performance reviews, conferences, seminars, and interviews wherever he goes. Clough, Cecil. 1983. "Machiavelli's 'Epistolario' and again what did Machiavelli wear in the country,' Bulletin of the Society for Renaissance Studies, Vol. 1, pp. 7-18. Fink, Thomas and Mao, Yong. 2000. 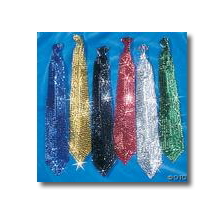 The Eighty-five Ways to Tie a Tie. London: Fourth Estate. Macaulay, Thomas Babington (Lord). 1827. "Machiavelli" In Critical and Historical Essays. London: Longmans. Ridolfi, Roberto. 1963. The Life of Niccolò Machiavelli. Translated by C. Grayson. London: Routledge.